This summer, I was lucky enough to have an assistant called Tom, a commercial law student working with us over the summer who quickly picked up how to set up a lighting kit and what looked good from the camera’s perspective. 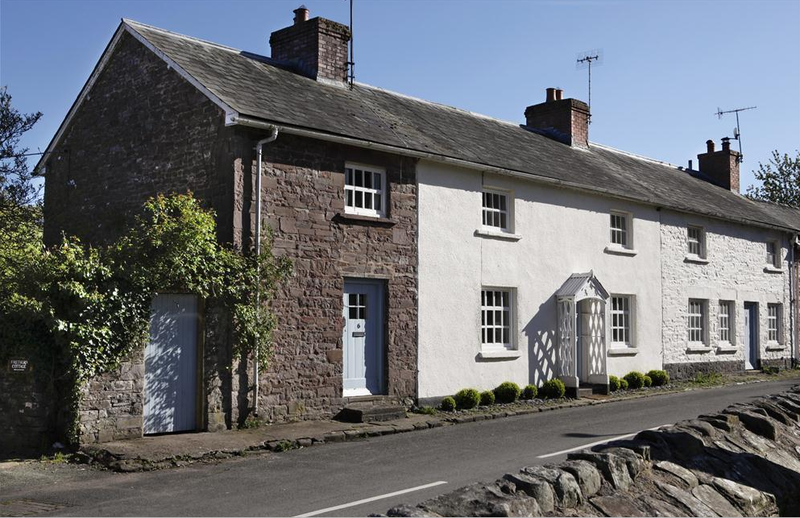 Two of the cottages we shot were down the road in Llanfrynach (Lhan-vrun-uck); Mary’s Cottage and Myrtle House, which are side by side, and few doors down the road from a lovely pub/restaurant called the White Swan. The cottage is small but the owner is a journalist with an eye for simple effortless, chic styling, she has combined these with light tones to create an airy feel throughout the house. The kitchen features a large pained window and door that allows the green light from the trees and plants outside to flood through into the living room. 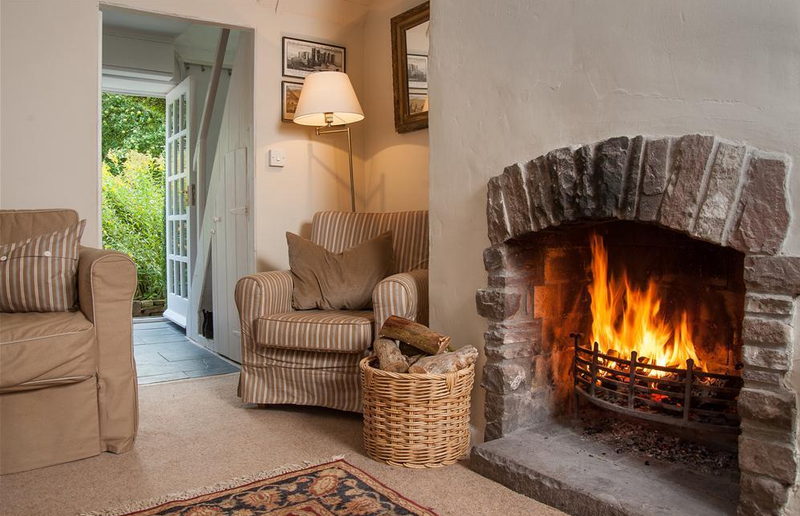 A comfortable sofa and armchair welcome you in the lounge where you will find an open fire and a selection of books to pick from. Getting up and down the stairs was fairly tricky with hands full of photography equipment, so I wouldn’t recommend it for those who don’t like steep steps. However, the feel of the cottage is sweet, cosy, relaxing and a world away from the hustle and bustle of the cities; a perfect escape by your self or with a partner. Next door is a larger property called Myrtle House that sleeps 5 and is perfect for families. 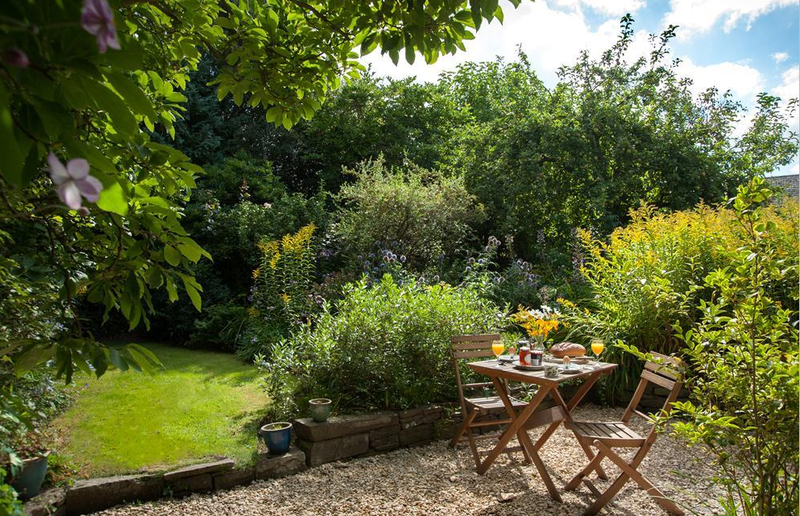 Tom and I had shot the breakfast-garden scene previously, which was a stroke of luck as the day I came back to shoot Myrtle the clouds had come over and there was a rare spot of rain. Not so great for shooting outside. Tom had gone on holiday, so this day I had Liz’s grand daughter, Charlotte, on work experience with me and Paul came a long as well; I had not one, but TWO assistants! 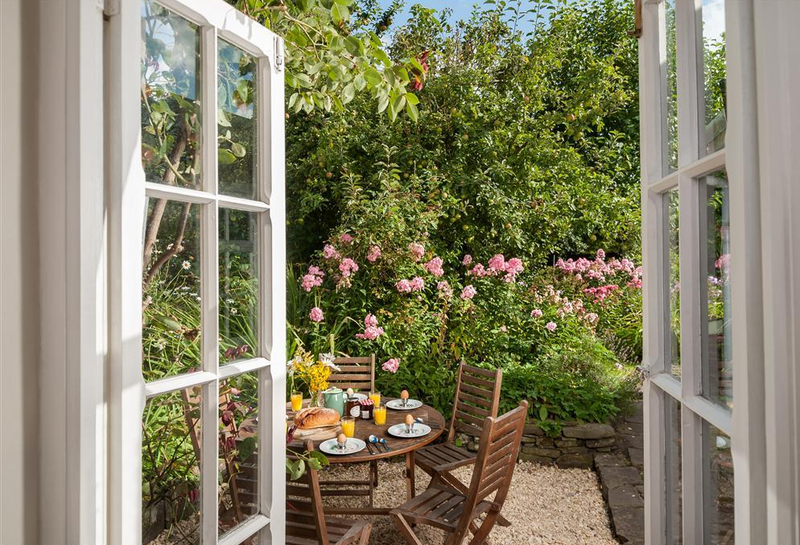 Where Mary’s cottage has limited space and any furniture and styling is light and chic; Myrtle cottage has that space in which the owner has introduce some interesting and larger luxurious items. For instance, the long leather sofa in front of the wood burning stove in the living room, the heavy wooden king size bed in the master bedroom, the ornate twisted candy cane chairs and gold-framed mirror in the dining room! It all worked together really well to create a blend of traditional and modern styles with a collection of colonial pieces that accentuated the slightly eclectic country feel of the cottage. Recently taken over by new management the White Swan offers an exciting menu that makes your taste buds tingle with starters like “Beetroot cured Tuna Carpaccio, micro herb salad, beetroot crisps, beetroot jelly, horseradish ice cubes” and main courses like “Haddock fillet, mini clams, samphire grass, sun blushed tomato mashed potatoes, shrimp broth”. Aside from the mouth-watering food, Llanfrynach is the meeting point of three rivers where the Menascin and the Cynrig (Cun-rig) flow in to the Usk, a river spot that is a really popular for local fishing. Being in the shadow of the majestic Pen-Y-Fan (Pen-uh-van) keen walkers have access to some of the best and most popular walks in the Brecon Beacons. Or if you are not so keen on the all day walks, it is a short drive to the Storey Arms car park below Pen-Y-Fan and takes about 45 minutes to walk to the top (for the fit walkers). Cantref Adventure Farm & Riding Centre is just down the road where you can do pony trekking and all sorts of other things. The canal also runs along the edge of the village and is a beautiful, relaxing 45 minute walk (or 10 minute drive) into Brecon Town. Brecon has a lot to see and do from Swimming, bowling and sports in the leisure center, to art and artisan’s galleries, coffee shops, the cathedral, the Theatre, day rides on canal boats, hire bicycles and golfing…the list goes on. Or online at the Visit Wales Website.